Home / DC / Delhi Capitals / Hyderabad / IPL / IPL 12 / IPL 2019 / Match Prediction / Rajiv Gandhi International Cricket Stadium / SRH / Sunrisers Hyderabad / VIVO IPL 2019 Match 30 SRH vs DC Match Prediction, Probable Playing XI: Who Will Win? Probable Playing XI for SRH: Kane Williamson (c), Jonny Bairstow (wk), David Warner, Vijay Shankar, Manish Pandey, Yusuf Pathan, Deepak Hooda, Rashid Khan, Bhuvneshwar Kumar, Siddarth Kaul, Sandeep Sharma. Probable Playing XI for DC: Shreyas Iyer (c), Prithvi Shaw, Shikhar Dhawan, Rishabh Pant (wk), Colin Ingram, Chris Morris, Axar Patel, Rahul Tewatia, Sandeep Lamichhane/Amit Mishra, Ishant Sharma, Kagiso Rabada. Uppal, which has witnessed three centuries in the first two games, is expected to host another high-scoring affair despite the bigger size of the ground. 190+ can be expected as par score. 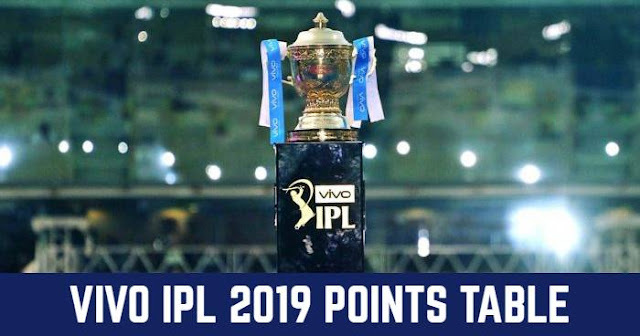 Our Prediction for IPL 2019 Match 30 SRH vs DC Who Will Win? Surisers Hyderabad are 6th on the points table with 6 points in 6 matches; 3 wins and 3 loss. On the other hand, Delhi Capitals are 4th on the points table with 8 points in 7 matches; 4 wins and 3 loss. Sunrisers Hyderabad are coming with two consecutive loss. Sunrisers Hyderabad were at a better place with winning 3 consecutive games but now lost their momentum with two loss. On the other hand, Delhi Capitals are coming with two consecutive wins. Mohammad Nabi has an economy rate of 3.88 bowling to left-hand batsmen this season and 7.60 to right-hand batsmen. Sunrisers Hyderabad have the best economy rate in powerplay overs this season - an economy rate of 6.0 and Delhi Capitals meanwhile have the best economy rate in death overs between overs 17-20 – an economy rate of 8.90. David Warner needs 72 runs to complete 3000 runs for Sunrisers Hyderabad in the IPL. 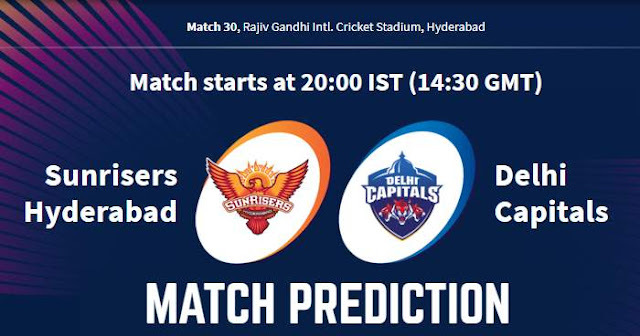 In our prediction, Sunrisers Hyderabad are likely to win this match.